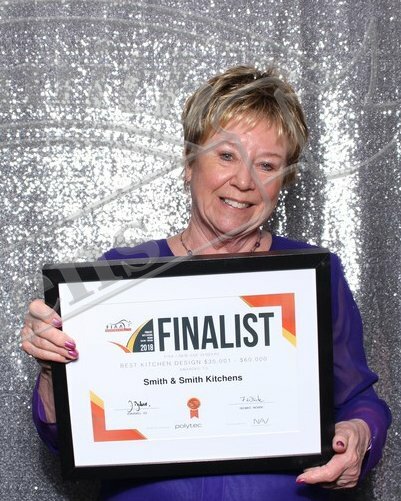 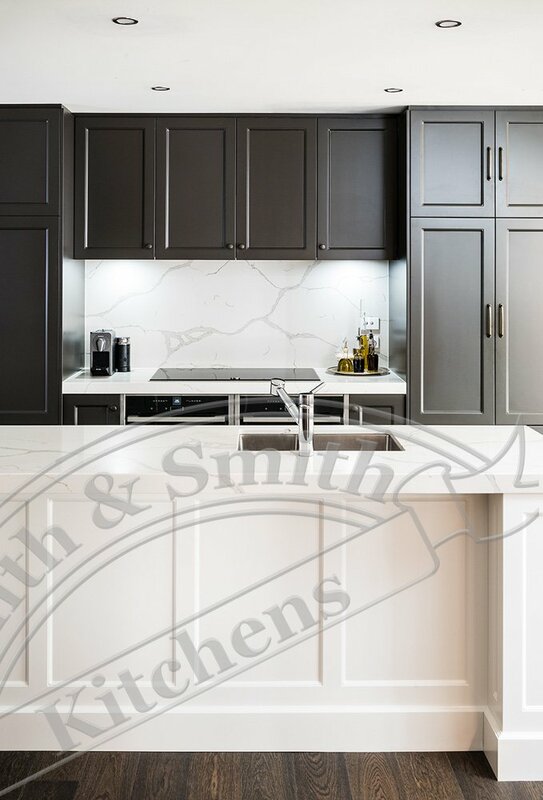 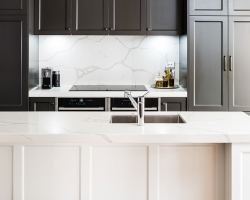 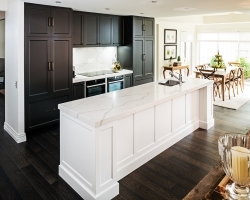 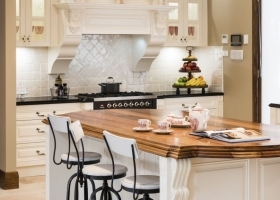 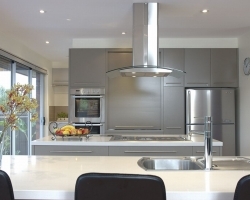 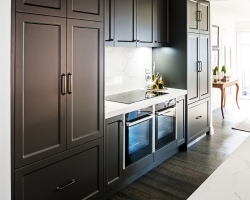 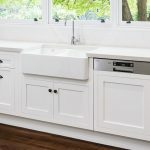 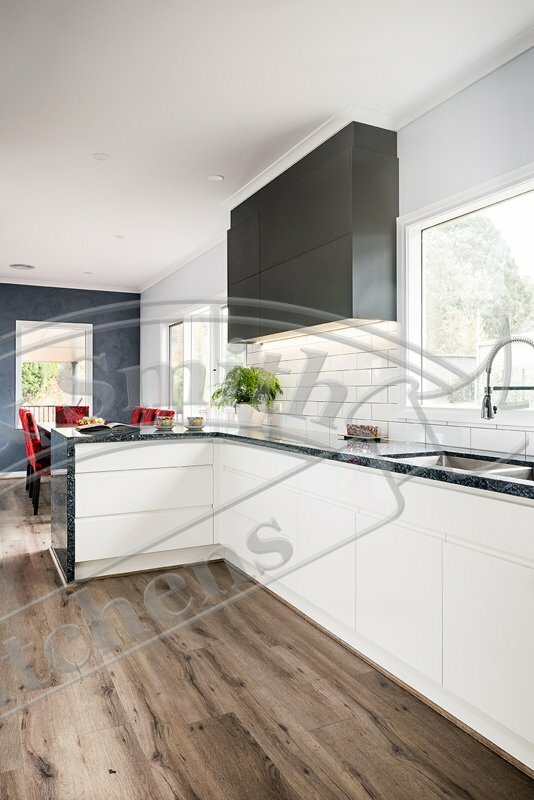 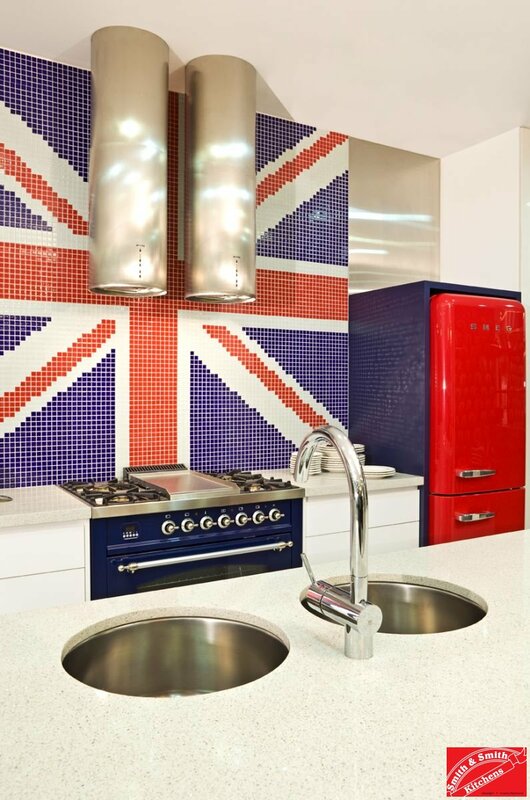 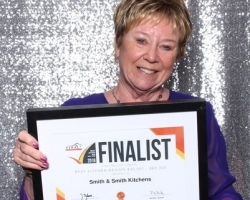 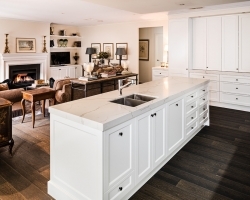 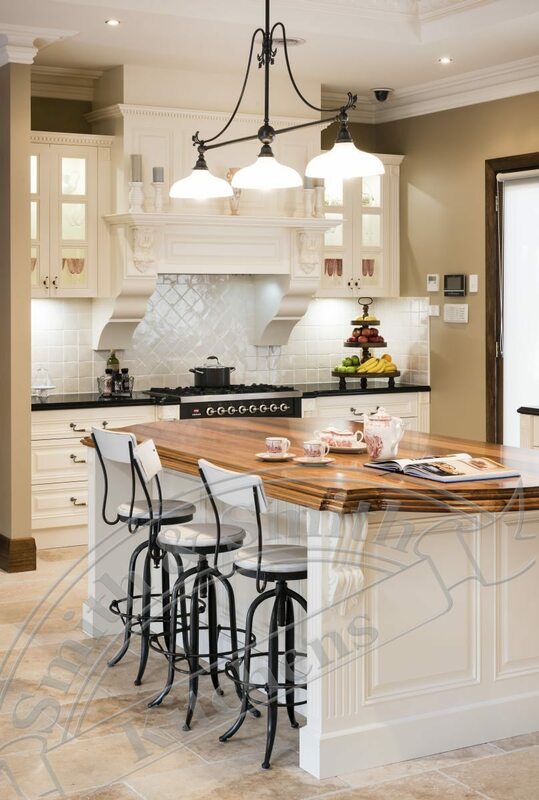 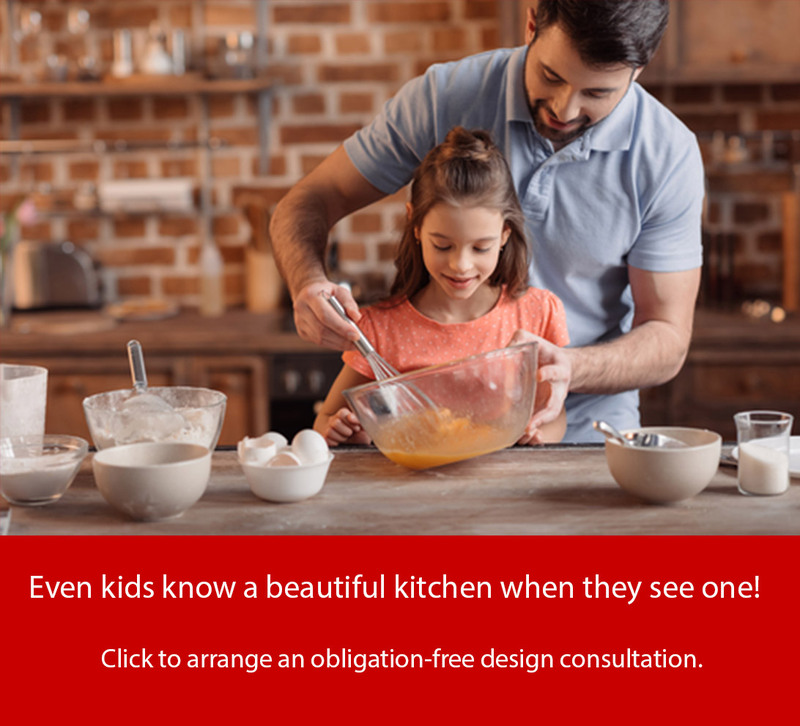 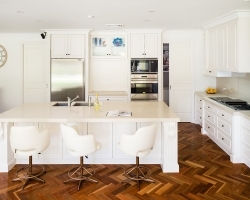 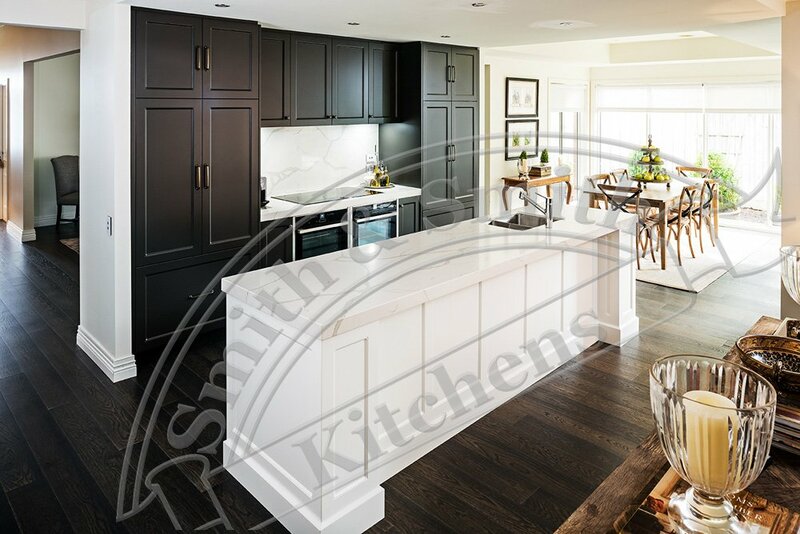 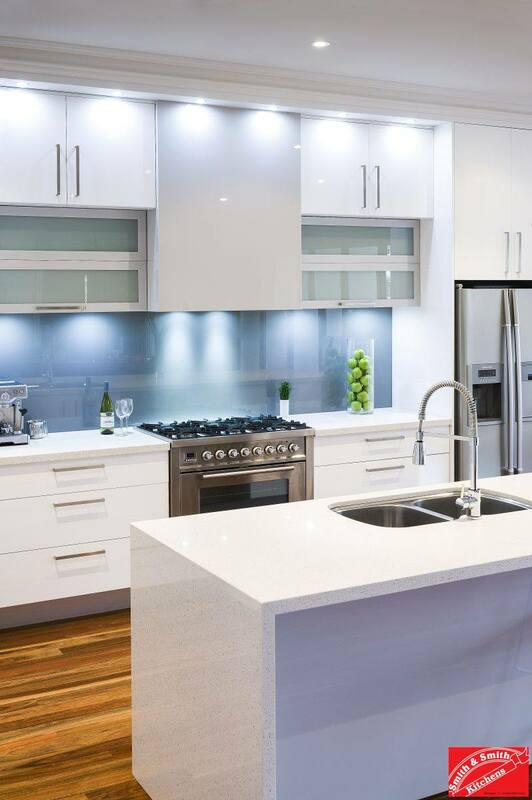 Finalist in 2018 Cabinet Makers and Designer’s Association Awards for Best Kitchen $35,000 – $60,000. 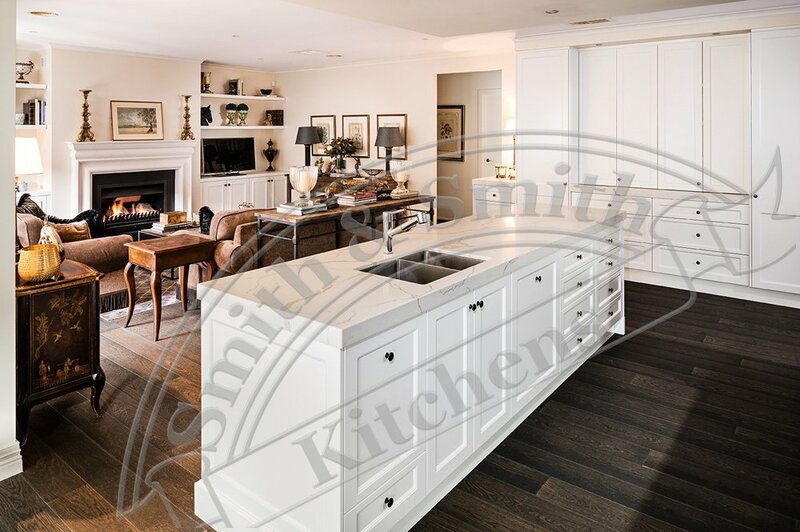 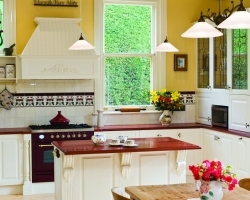 A transitional kitchen takes the classic design elements of the past and tweaks them for modern life. 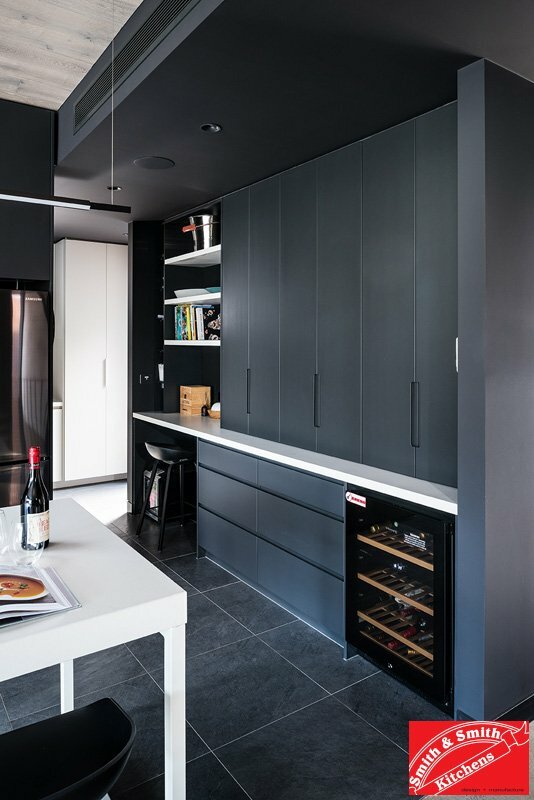 Think of it as a modern take on traditional. 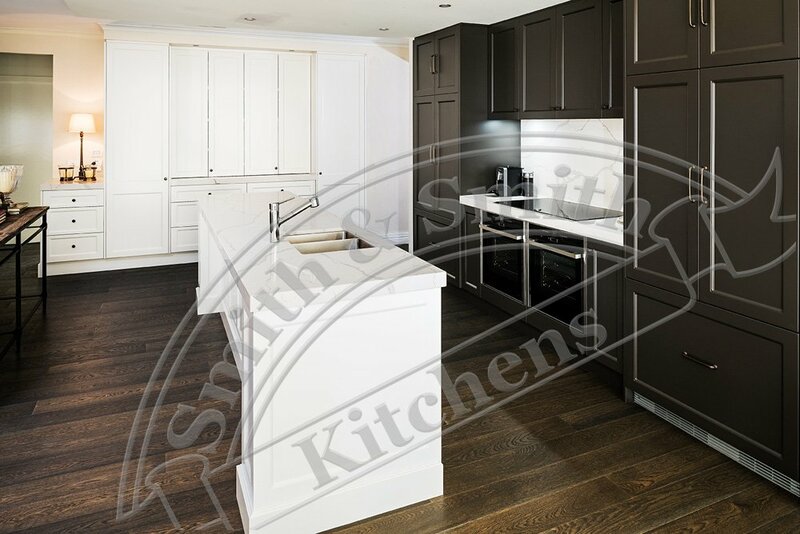 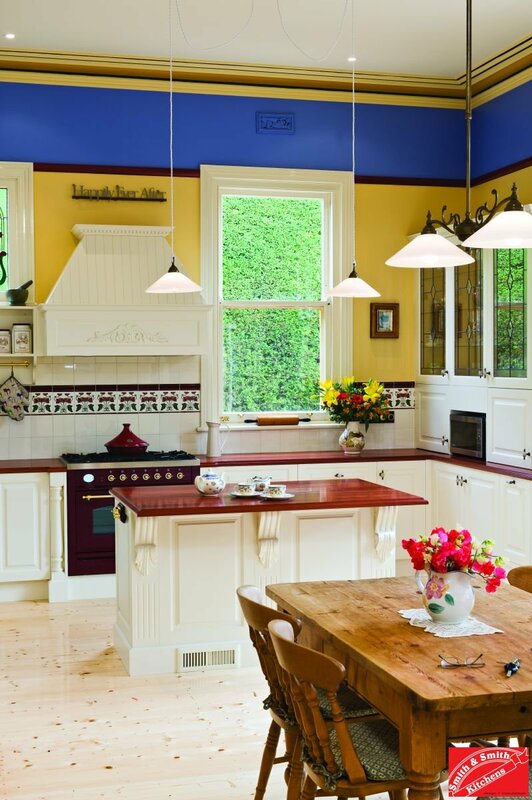 The secret to a transitional kitchen is to combine the profiles of a traditional kitchen with modern functionality and style. 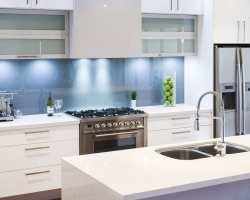 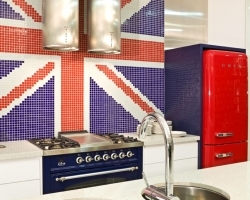 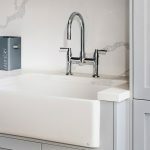 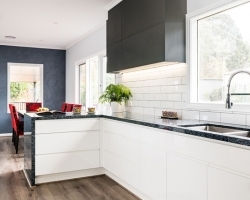 Transitional kitchens have emerged in popularity due to the prevalence of flat doors gracing many modern kitchens – with every style trend, there is an opposite trend to balance things out. 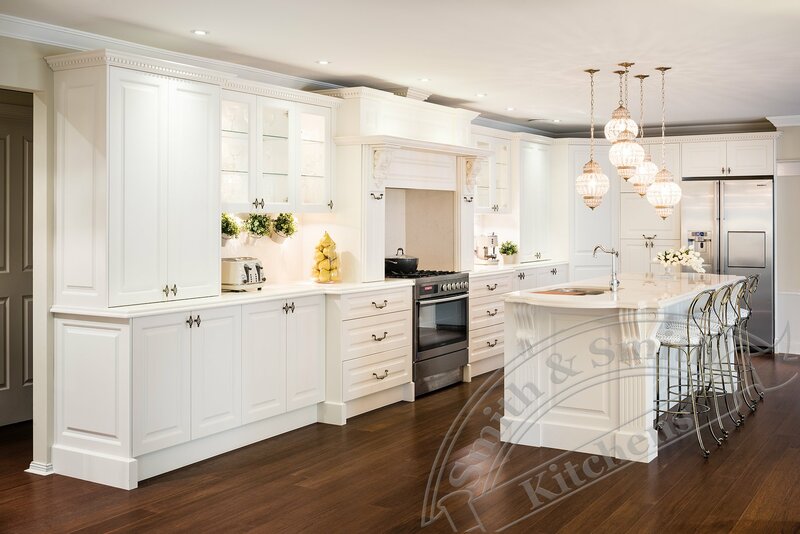 This kitchen is the very definition of a transitional kitchen; the best of the old with the functionality and style of the new. 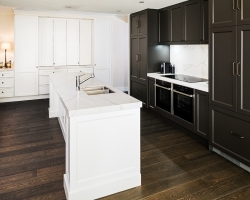 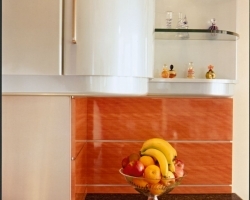 Transitional kitchens have emerged in popularity due to the prevalence of flat doors gracing many modern kitchens – with every style trend, there comes an opposite trend to balance things out. 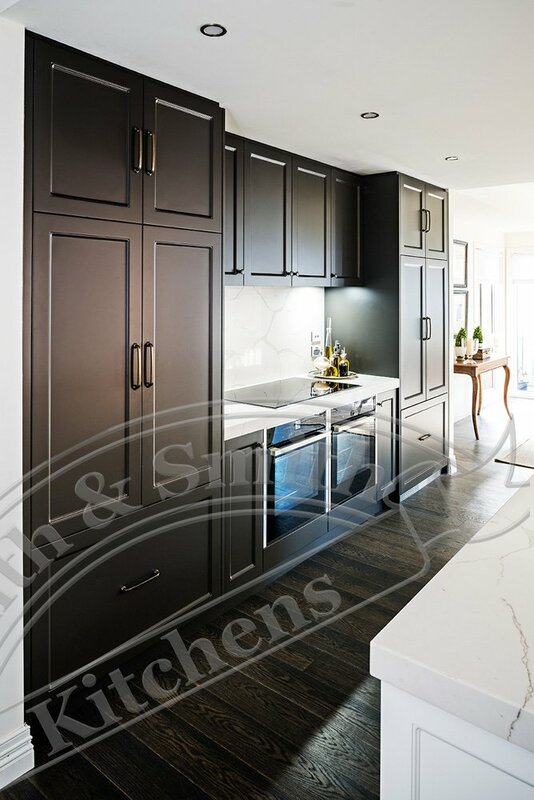 This kitchen creates interest using an L shaped layout in a clever way; the dark cabinetry on one wall anchors the kitchen while the white cabinetry on the adjacent wall blends into the background. 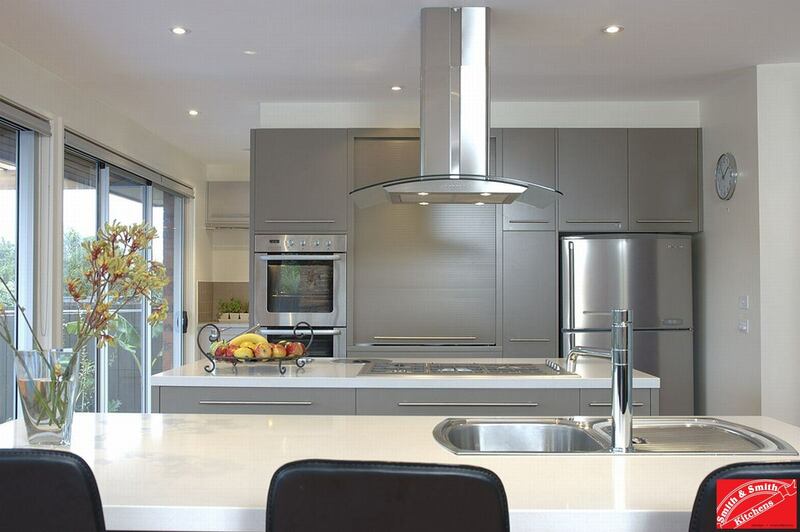 The result is to create a sense of scale and zoning within the kitchen, living, dining area. 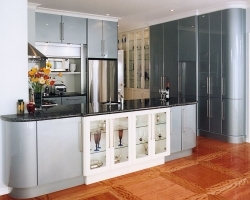 Darker colours provide warmth to living areas; too much white would make this room seem cold. 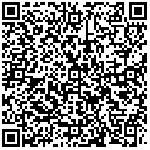 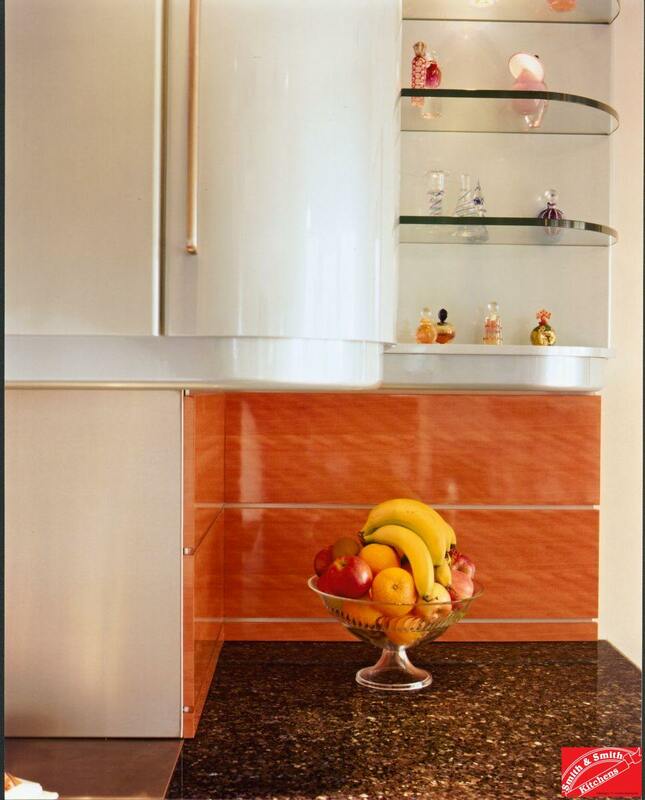 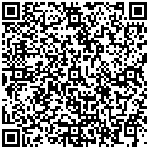 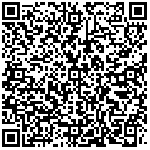 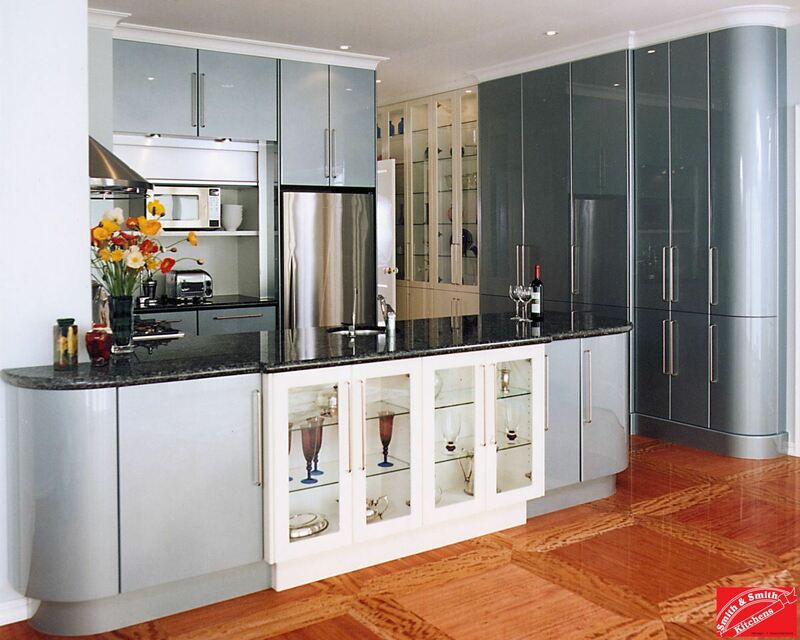 Entire walls of cabinetry are coming right in style as more people long for a butler’s pantry but don’t have the space. 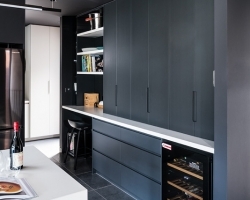 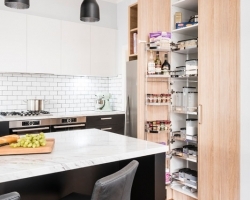 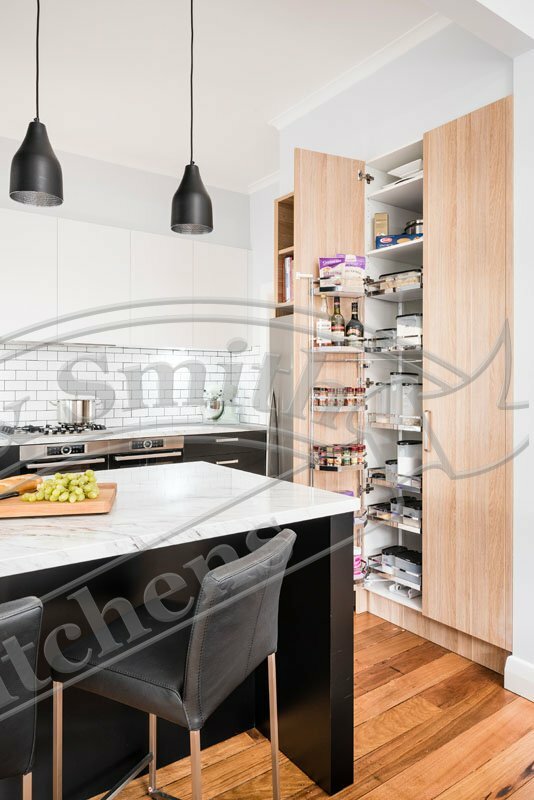 A wall of cabinetry provides excellent storage, particularly when combined with pull out pantry shelves and integrated fridges.